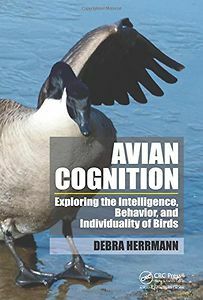 Unlike any other book, Avian Cognition thoroughly examines avian intelligence, behavior, and individuality. Preferences, choices, motivation, and habits of species, flocks, and individual birds are discussed and compared. This book investigates who birds are and why they do what they do. Daily, seasonal, and play activities, creativity, reasoning abilities, problem-solving skills, social interaction, life stages, and communication patterns are described, and a distinction is made between vocalizations that are learned and those that are inherited. The behavior and intelligence of both wild and pet birds is compared, and unlike other books, entire chapters are devoted to a single species.